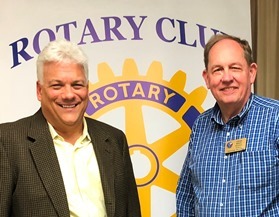 On Thursday March 22, 2018, Jack Franks spoke to the Rotary Club of McHenry at our regular Noon meeting at the VFW in McHenry. 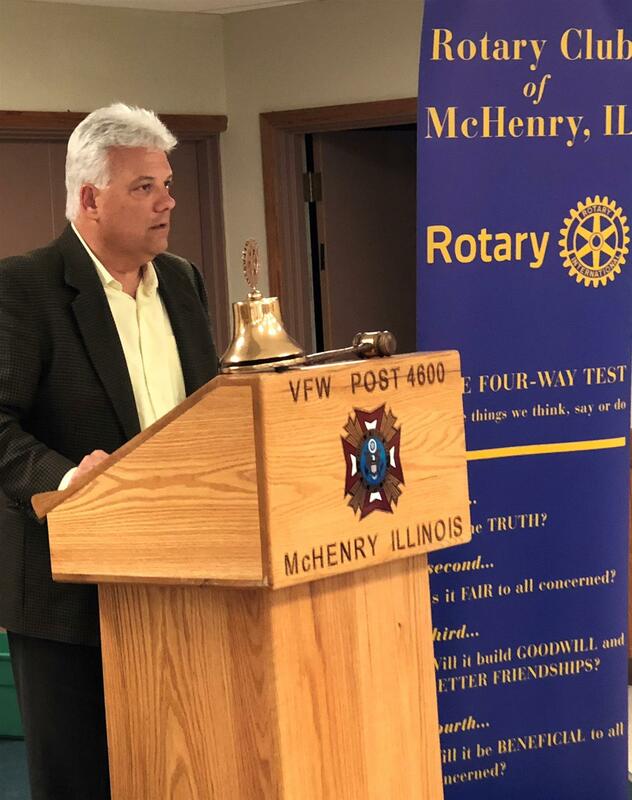 The first elected McHenry County Board Chair shared the County Board’s general objectives as well as an impressive progress report regarding the bipartisan achievements of the County Board. Among the many objectives of the County Board was the overall goal of reducing real estate taxes. The County Board has achieved results exceeding their original goal of a 10 percent reduction, but the overall taxes on real estate include other taxes including those which support education. Here are a few of the specific areas mentioned. The County Board and others have encouraged local school districts to initiate (wherever possible) reductions over which they have control. One recent nonbinding referendum solicited voter input on whether school districts should cut their property tax levies by 10 percent. The County Recorder’s Office is being consolidated into the County Clerk’s Office.